flit & fly: SURTEX in three days!!! 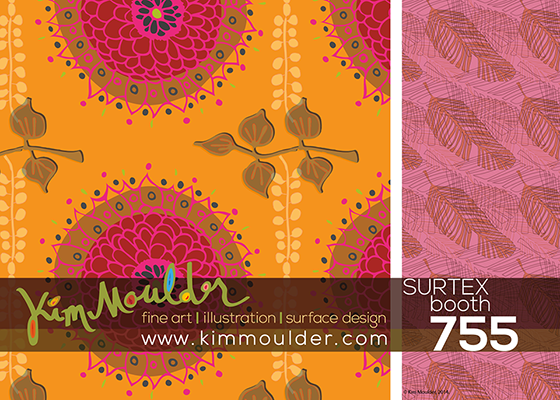 It has been a whirlwind over the last six weeks since I decided to exhibit at SURTEX 2014! I am almost ready—still have a big list of things to do. I can't believe how much I've done in such a short time. It makes my head spin! your patterns are vibrant and warm / very nice! Best of luck to you at Surtex! Thanks for joining the blog parade. I would love to hear from you! Please comment and let me know your thoughts. artist, designer, illustrator and surface designer. Welcome to Flit&Fly where I blog about creative pursuits, things that catch my eye or make me think, and share about art and design work that I offer on my Etsy shop and in other places online. Sometimes I may share my own processes in my creative journey as well as reviews and thoughts about the things that help me in that work. I hope that something here will inspire you or help you in your own creative life whether it's as an artist, or as a person who lives with art. Subscribe and get a coupon for 15% off anything in my Etsy shop! I sell VINTAGE on Etsy! Look what I've been exploring lately on Pinterest! Popular posts at Flit & Fly! 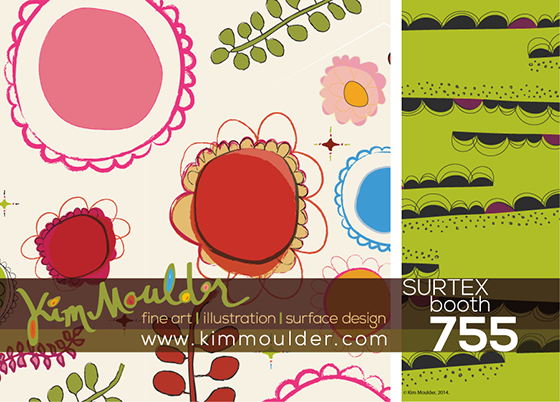 Preparing for SURTEX ~ 2014 !! © Copyright, Kim Moulder. All rights reserved. . . . . . . Simple theme. Powered by Blogger.